Dopamine Energy Drink information and caffeine amount. What was in this drink and what happened to it? 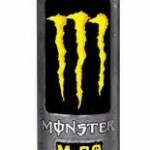 Monster M80: Why Another Energy Juice? Monster M-80 Energy Drink is similar to Monster's other Juice based energy drinks. Here's how M-80 is different and how much caffeine it has. 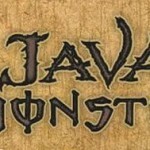 Java Monster is a line of coffee flavored energy drinks from Monster Energy. How do they taste and how do they compare to other coffee energy drink hybrids? 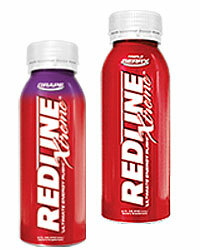 Redline Energy Drink Reviews: Xtreme, Princess, and more. 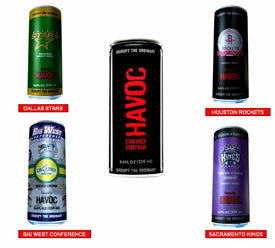 These drinks contain powerful stimulants and should be used with caution. Review of Spike Shooter and Spike Shotgun. Two highly caffeinated energy drinks marketed to bodybuilders. Are they safe? Review of Wired Energy Drinks including X505 which had over 500mg of caffeine per can. Coca Sek: The Real Cocaine Energy Drink? Coca Sek is a Columbian energy drink made from coca leaves. 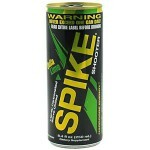 Not for sale in the USA due to its main ingredient, but not any more dangerous than caffeine.